Aerocene is an open artistic project initiated by internationally renowned artist Tomás Saraceno. It centers around the do-it-together open-source development of the Aerocene Explorer –a floating sculpture, lifted only by the heat of the sun and carried by the wind, for atmospheric exploration– and foregrounds the artistic and scientific exploration of environmental issues in the wake of the Anthropocene. I joined the team in 2016 to help steer the project in an open source direction, publishing DIY instructions for the Aerocene Explorer, building community collaboration around Aerocene technology through organisation of hackathons, and managing collaborations with expert and academic partners. I helping to develop DIY instructions for the first released version of the Aerocene Explorer, especially the hardware pack. 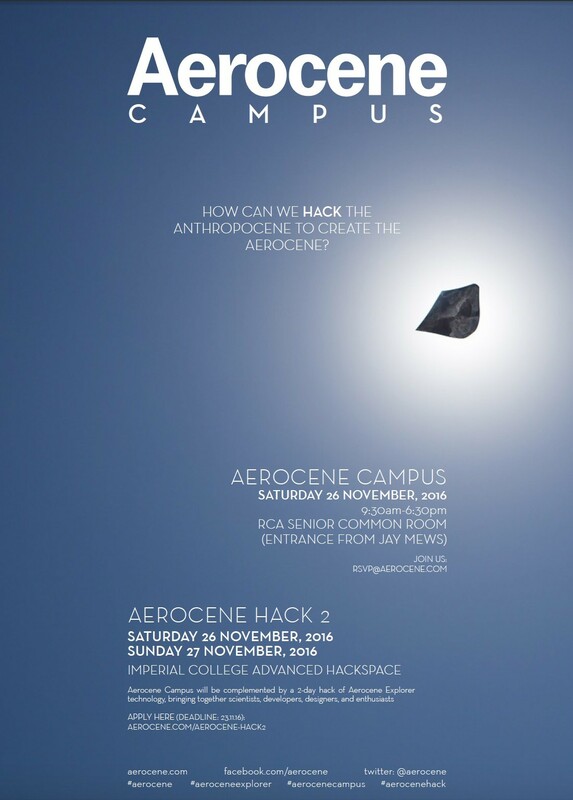 Through October to December 2016, the Aerocene project was resident at Exhibition Road, London, for an interdisciplinary artistic project co-produced by the members of the Exhibition Road Cultural Group, gathering together 16 prestigious cultural and scientific institutions in London, among them the The Serpentine Galleries, Imperial College London, The Natural History Museum, and The Royal College of Art. 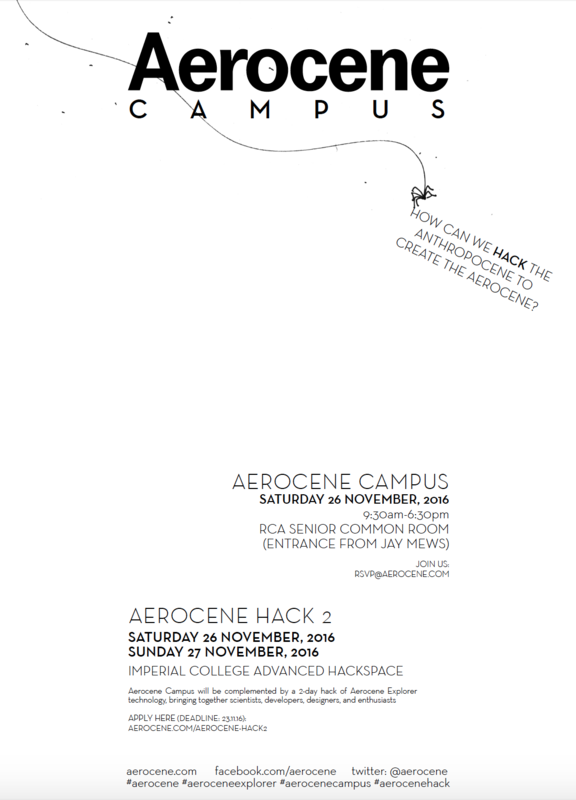 For this occasion, Aerocene created a collaborative research platform between Exhibition Road members and wider communities. Within this I organised two hackathons – AEROCENE HACK #1 & AEROCENE HACK #2 – between the Aerocene team, collaborators from MIT’s Department of Earth, Atmospheric and Planetary Sciences and Natural History Museum, Nick Shapiro from the international community science initiative PublicLab, as well as the team of the Imperial College Advanced Hackspace, students from Imperial College London, the Royal College of Art, the Royal College of Music, and University College London, and Cambridge University Space Flight (an incredible student-run society – report on our collaboration here). I worked together with Prof. Glenn Flierl, Prof. Lodovica Illari, and Dr. Bill McKenna of the Department of Earth, Atmospheric and Planetary Sciences, MIT, as well as the Aerocene team, to manage the first release of the Aerocene float predictor: a tool for predicting the trajectories of Aerocene free-flights as the ride air currents in the atmosphere. Based on open 16 day wind forecast data from the US NOAA Global Forecast System.